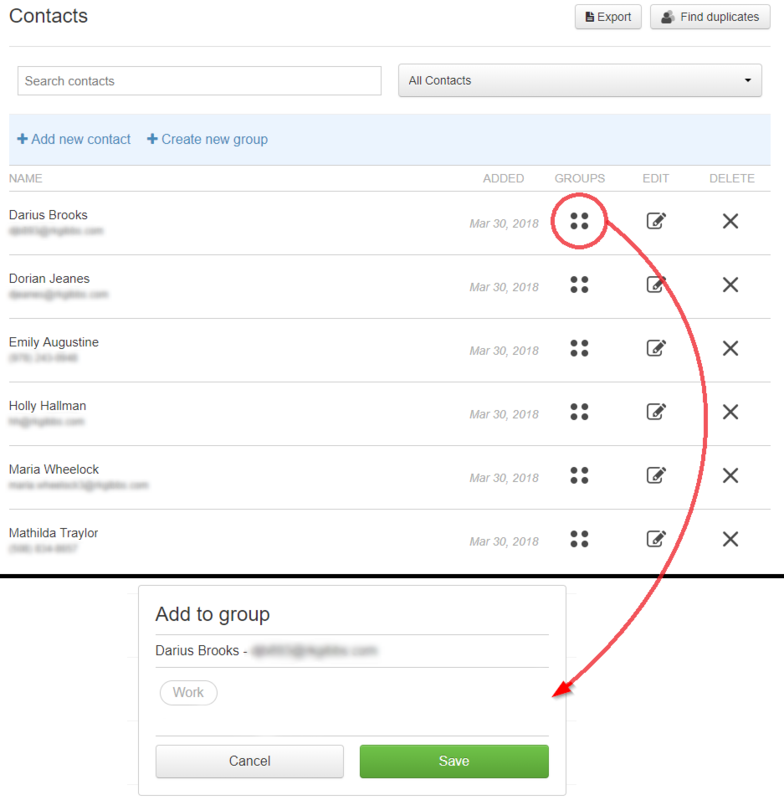 Groups are a great way to keep custom lists in your Punchbowl Contacts. Group labels can be assigned to anyone in your Contacts and when creating a new invitation you'll be able to quickly add those contacts to the guest list. Follow the steps below to set up groups. Already created groups? Skip to step 3 to see how to add them to your recipient list. Head to your Punchbowl Contacts. Click on the Create new group link. Enter a name for the group and click Save. Once your group has been created you can add any contacts to the group by clicking the Groups symbol to the right of their name and then clicking on the group name you want to add them to. After the group has been created you can easily add any contacts from the group to your invitation by clicking the Contacts button on the Add Guests page and choosing the group name from the drop-down box. Note: The Groups feature is currently not available within the Punchbowl mobile app.